Ram, specializing in pickup trucks, showed a special, luxury version of the all-road Rebel. The first time such a modification of brand appeared with leather seats and a premium audio system. 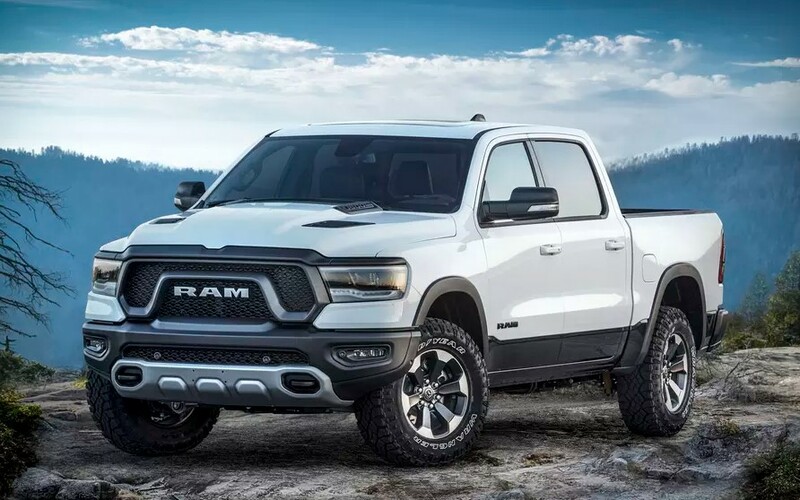 Immediately from the Ram 1500, the Rebel 12 has a lift-suspension kit, a rear differential where there is an electronic lock, Bilstein dampers, 33-inch all-terrain tires, motor protection with a distribution and towing hooks. The basic installation will be a moderately hybrid V6 3.6 l at 309 hp. and 365 Nm. It works with an 8-speed automatic transmission. The list of equipment for the expensive Rebel 12 includes Uconnect 4C multimedia, 12-inch screen, navigation, heated seats, 19-speaker Harman Kardon audio, a 900-watt amplifier, a subwoofer, and an active noise reduction system. Ram 1500 Rebel 12 in the US costs from $ 46,990. The novelty will be on sale from the fourth quarter of 2018.